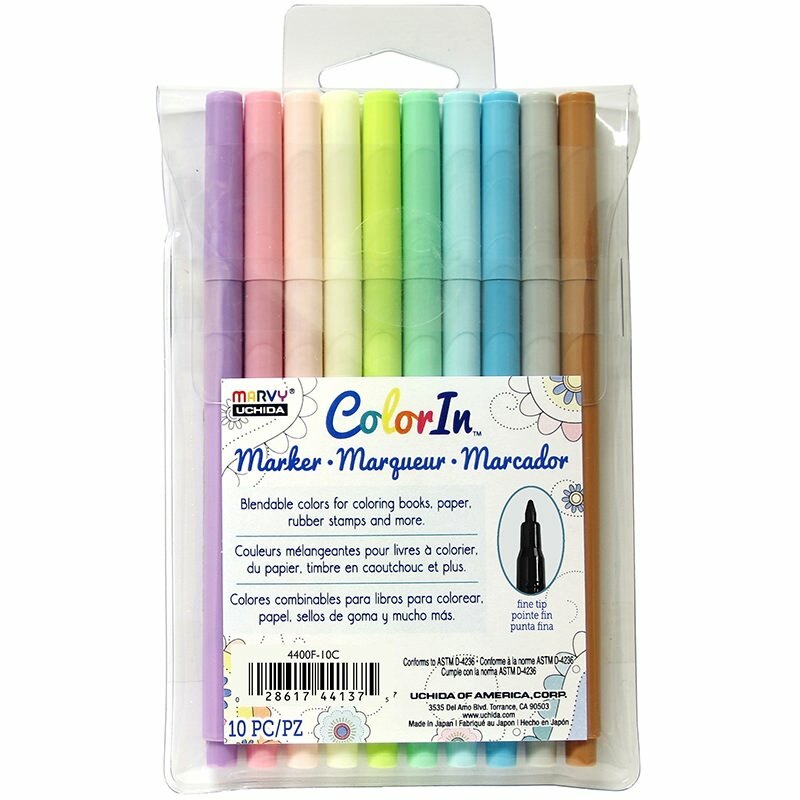 Adult Coloring markers in fine tip. Blendable colors for coloring books, paper, rubber stamps. Contains water-based dye ink.